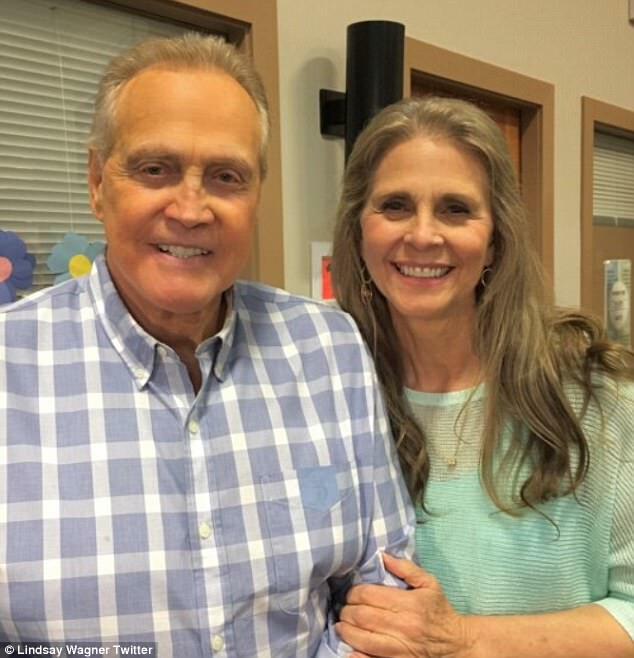 Lindsay Wagner and Lee Majors reunite for family movie | Daily Mail Online: "They first met and fell in love on seventies television as two characters rebuilt using bionic technology. And on Wednesday Bionic Woman Lindsay Wagner and The Six Million Dollar Man Lee Majors reunited on the set of a movie filming on the west coast of Canada. Wagner, 67, tweeted a photo of the two of them along with the hashtag '#togetheragain.' "